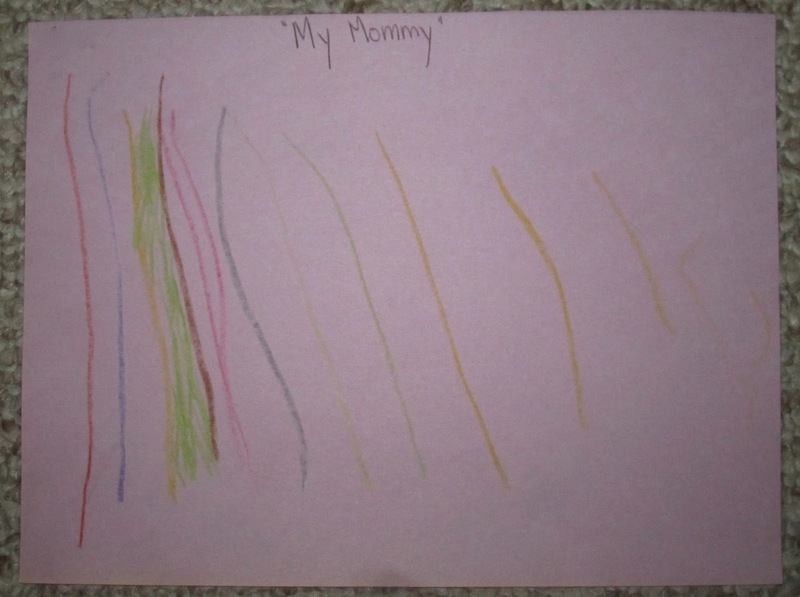 I think the artist is making a statement about the many different strands in her mother's life and what a beautiful picture they combine to make. 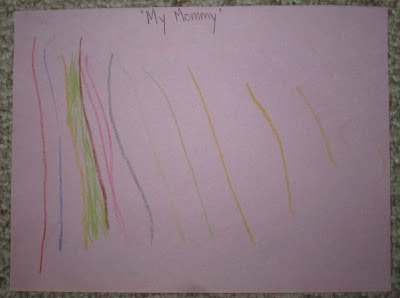 Either that, or she really likes drawing straight lines right now. The artist's big sister, meanwhile, was hard at work preparing for her first poster session. 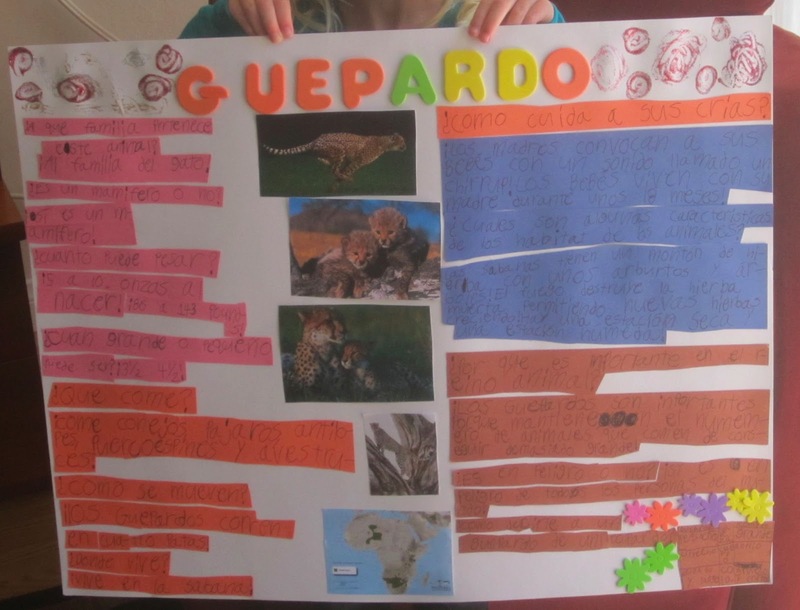 She's presenting her research on cheetahs. Her research supervisors are quite proud. That's such a coincidence. My daughter chose cheetah's for her first grade project, too. I think I'm going to put puffy foam flower stickers on my next poster. To make a statement.